Behold, puny earth things! A deluxe, oversized collection of the story originally serialized in Heavy Metal magazine, this is the complete adventure of the Cyberzerker and his mighty Atomahawk! 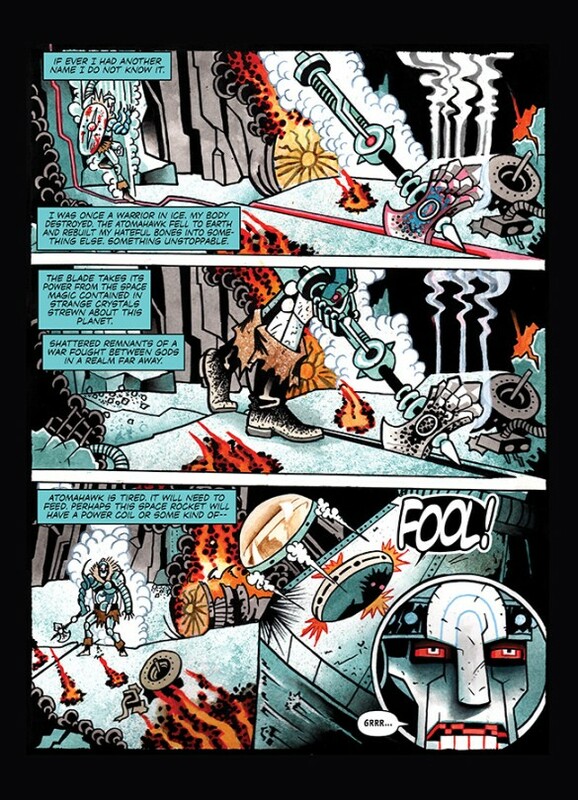 Join them on their quest to free their imprisoned God, and find out why GRANT MORRISON calls it: "A screaming black hole feedback squall of death metal Kirby-kozmik energy spinning straight towards your prefrontal cortex. DONNY CATES and IAN BEDERMAN forge a stylish, super-heavy 21st-century mythology of blood, sentient steel, and rebel circuitry. A razor-nova of explosive writing and searing visuals that bury themselves deep in your skull. 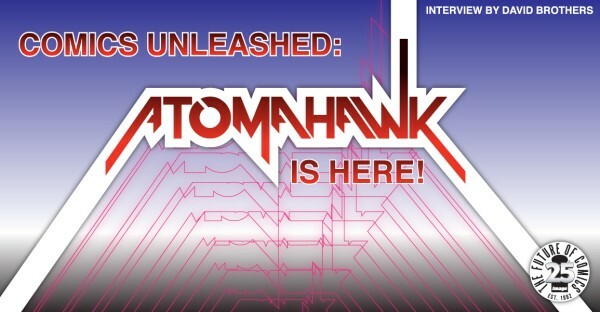 ATOMAHAWK REX!"